We think our quality is pretty dang good, true, but if it’s distribution that really matters, then 2015 was our company’s best year ever. Our primary content is fiction: novels, novellas and short stories. Our primary distribution method: podcasting. Yes, we publish print books because they make some money and they smell nice. We sell our stories in paperback, hardcover, as eBooks and as audiobooks. That’s where we make our money. But we can’t sell jack if people don’t know about our stories and know about our primary brand of “Scott Sigler” (they’re his stories, after all). Our weekly free fiction podcast — ten years in and still rolling strong — gets that word out for us. In 2015, the Scott Sigler Audiobooks podcast registered 6,195,913 episode downloads on LibSyn, our podcast file host. That’s our best year yet. Before 2009, most of our files were hosted by Podshow/Mevio, which are no longer around. We did a shoddy job of tracking stuff there, as we assumed those numbers would always be available online. Wrong, sir and/or ma’am! Companies go out of business. And when they do, their data is usually lost. Pro tip: in whatever you do, track your numbers, and make sure they are recorded in a database that you a) control, and b) backup on a regular basis. There were millions of downloads from Podshow/Mevio, but we’re kind of writing those numbers off since we can’t lock them down. Now, at first glance, you might look at these numbers and think, “holy crap, imagine that in TV ratings!” These are some big numbers, but keep in mind that is our total podcast downloads. If a serial audiobook has 25 episodes and someone downloads that book, that’s 25 downloads. DOES THIS COUNT YOUTUBE VIEWS? Nope. We had 143,019 views of all of our videos in 2015, including our video serialization of ALIVE. That number is peanuts for the big-time YouTube stars, but we’re pretty tickled with it. We have a bunch. At scottsigler.com, we finished the serialization of THE CHAMPION (started in 2014), serialized all of ALIVE and started THE REPORTER. We also had our regular does of FridayFix™ podcasts. Those were our “live” titles, with an episode released every week it iTunes and from Scott’s website. We also had our back catalog titles (available at at Podiobooks.com and at iTunes), where people can download the whole book at once. WHY THE DOWNTICK IN 2012 & 2013? The numbers dropped because we pulled several titles down from our back catalog at Podiobooks. For example, we pulled the NOCTURNAL podcast from there in late 2011 because we knew we were re-writing it for hardcover publication in 2013. We pulled the original version of THE ROOKIE in 2013 because we were re-recording it for a 2015 release, and in 2013 we pulled BLOODCAST I and II because those tales were moved into our short story collections. We don’t know. We hope our total downloads will go up some more. We just added ALIVE, Book I of the Generations Trilogy as a free podcast at Podiobooks and at iTunes. We think that will give us a boost. THE REPORTER will go up for free once it is finished as a live release, so there’s two hits of fresh blood to drive numbers. We’re happy, the fans seem happy, and our advertisers are very happy. A decade in and things are still going strong. We couldn’t be more pleased. I just got a whole box of resupply for our printer using our LD Products Coupon SCOTT15 to save 10%! So easy to do, what are y ou waiting for? 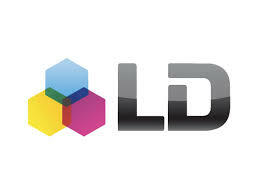 Just use our LD Products Coupon page for all your discounted printer ink and toner, for inkjet or laser printers needs. It’s a great company who makes great products and helps keep our overhead costs in check. The best way to do business for our little business! Our sponsors provide awesome support: Check out our GoDaddy Coupon page before you get any new domains online. Seriously, because a new dot-com for 99 cents is just one deal you get by using our code CJCSIGLERC. Or, or you save 30% off your entire order of new products? That’s CJCSIGLERP! • These days it’s pretty chilly for San Diego, I won’t lie. I know it’s not 5 degrees and snowing, but for us, without heat in our homes, it’s chilly! That’s why I love using our Moosejaw Coupon code SIGLER to shop for warm wooly new winter duds. A: The Alive broadcast seems to be working well as a gateway drug to new Siglerverse fans. My kids loved Alive, and really got into the weekly ‘serialized radio show’ aspect of it. My daughter liked it so much she did a school assignment using it (so we ordered the hardcover for her). Then your holiday sale provided an opportunity to buy the other paper-backs in the series. So 2015 was quite the year for me to share the SiglerStank(TM) with rest of my family. My daughter’s 11th birthday gift? An Ionath Kracken’s Jersey (#38, of course) and she hasn’t even gotten to book [no spoilers]! Thank you for all that you do. If we could just get you to sit a bit closer to the microphone during the Friday Fix, I’d squeal like a Sklorno. Thanks for all the info, and how cool about your daughter doing an assignment for school on ALIVE!